Micron Technology Inc.'s stock surged for its best day in a year Thursday, leading chip stocks to record high as the memory chip maker took what analysts considered to be more realistic view of the market and sought to curb production. , after the company reported quarterly earnings late Wednesday, yielding forecast for the current quarter and pledge to idle 5% of chip production. The last time shares had a better one-day percentage gain was Feb. 6, 2018, when the stock jumped more than 11%, and finished at their highest price since Oct. 4, 2018, when shares closed at $ 44.16, according to FactSet data. surged 3.5% and closed at 1.441.83, just short of its record of 1,445.90 set on March 12, also helped along at a 8.5% rally in shares of Advanced Micro Devices Inc.
a 5.5% gain in Nvidia Corp.
NVDA, -3.50% and a 1.5% rise in Intel Corp. Following Micron's results and outlook, eight analysts hiked prices on the stock while three lowered their targets. 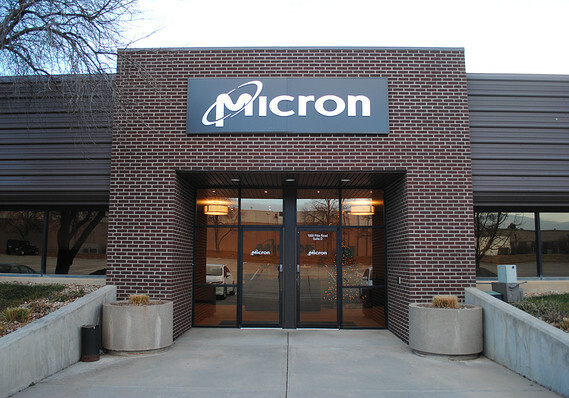 Of the 33 analysts who cover Micron, 19 have buy or overweight ratings, 13 have hold ratings and one has a sell rating, with an average price target of $ 49.28 compared with an average $ 47.65 before the earnings report. On a conference call After releasing fiscal second-quarter earnings, Micron Chief Financial Officer David Zinsner said the company expected adjusted third-quarter earnings of about 85 cents a share on revenue or $ 4.6 billion to $ 5 billion. Analysts polled by FactSet had forecast earnings on average of $ 1.18 on share revenue or $ 5.29 billion, and on Thursday, the consensus was down to 84 cents on revenue or $ 4.82 billion. Also, Chief Executive Sanjay Mehrotra said Micron would idle 5% of DRAM and NAND "wafer starts" while waiting for expected data center growth to resume in the second half or 2019. DRAM, or dynamic random access memory, is the type of memory commonly used in PCs and servers , while NAND chips, the flash memory chips used in USB drives and smaller devices such as digital cameras. Cowen analyst Karl Ackerman, who has an outperform rating and raises his price target to $ 46 from $ 40, said:“ While the demand environment in the second half remains opaque, guidance was worse than some feared. Mizuho analyst Vijay Rakesh, who has a buy rating and raised his price target to $ 47 from $ 44, he was holding his buy rating because of the company's free-cash flow, strong balance sheet and expectations of a second-half or 2019 pickup. MKM Partners analyst Ruben Roy, who has a buy rating and raised his price target to $ 50 from $ 44, so said "management continues to execute well in a challenging environment," and sees the May-ending quarter as an earnings though. "We continue to remain positive on the longer-term outlook for memory-given content is likely to increase as emerging applications such as AI, autonomous driving, machine learning, and data analytics / data science continue to evolve," Roy said. Morgan Stanley analyst Joseph Moore, who has an equal-weight rating and a $ 32 price target, was more skeptical. While he also said Micron is "executing well in a tough environment" he is "cynical" about a recovery in the second half of the year. "We do not think that seasonality + snapback will be enough for supply / demand to clear, and model cautiously for 2h; record inventories & production idling support that view, ”wrote Moore.